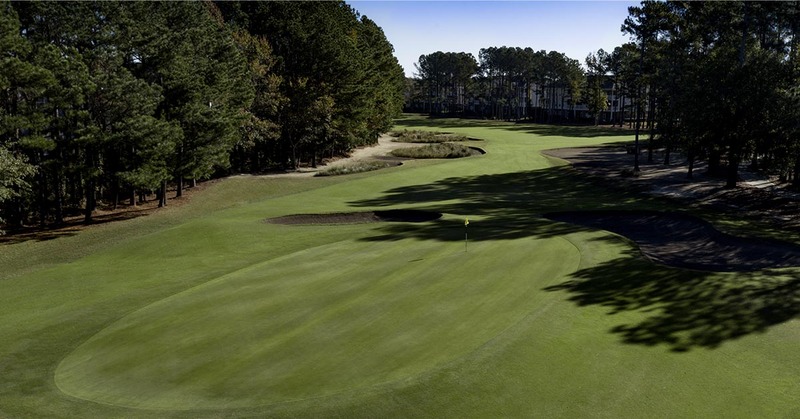 At the Barefoot Resort Norman Course, you will have the opportunity to play one of the most scenic par 3 holes in the Myrtle Beach area. But it is not the only one with the waterway backdrop. 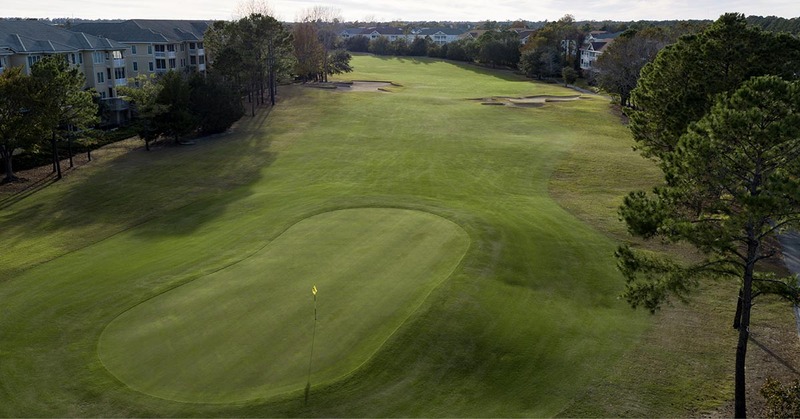 A total of seven holes play along the Intracoastal Waterway in North Myrtle Beach. Consequently this is the highlight the Barefoot Resort Norman Course design at Barefoot Resort. Framed by the site’s original vegetation, each hole enhances the beauty of its natural vistas. 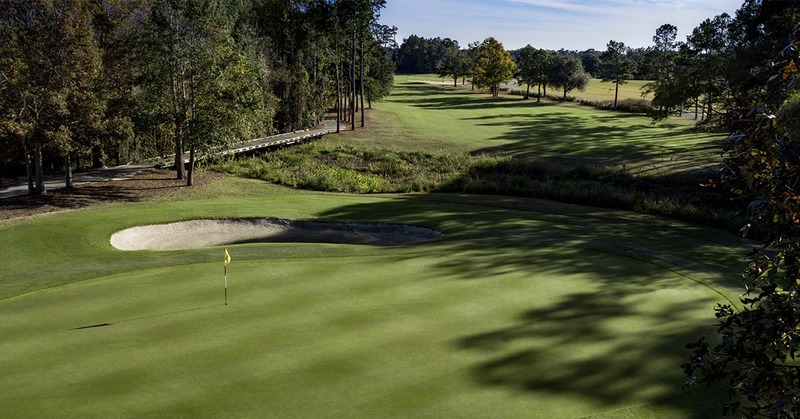 Combined with open green complexes and fairways running up to the sand, the Barefoot Resort Norman course presents a challenge for any seeking a great game of golf in Myrtle Beach, SC. The stunning waste areas and the site’s natural vegetation were used to frame each hole. The course resembles one found in the deserts of the Southwest, without the desert. For example, one hole has fairways that flow into the native areas surrounding the course. Meanwhile another hole features fairway and a partial rough transitioning into the native areas. A third distinction is a formal rough that encompasses the entire golf hole. There are no angular or artificial lines in the shape of the course. Bunkers have sloping white faces (similar to a MacKenzie style golf course) with intermittent sod wall bunkering at strategic locations throughout the course. 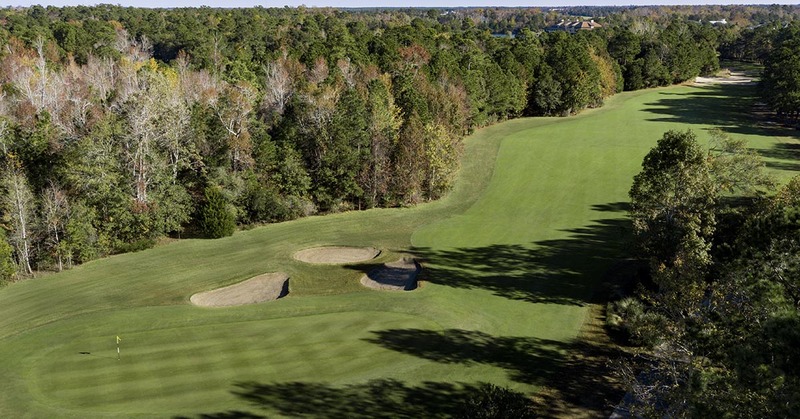 The Barefoot Resort Norman Course is a Par 72, approximately 7,200 yards long. It was the intention of Norman’s design philosophy to bring into play the”bump and run” shots around the greens. This will give the player the option to play a number of different shots. New Champion bermuda greens were installed in 2012, and they add to the overall top notch experience. Lastly, if you are looking to play the easier of the 4 Barefoot Resort courses, the Norman is definitely the one to choose.